Sunday, July 4	– Train from Montebaun to Bayonne then Train to Urt – Walked 1 km. | Say Mar Say! - C'est Marseille! « Monday, July 5 – Walked from Urt to La Bastide Clarence to Hasparren – 16 kms. Sunday, July 4	– Train from Montebaun to Bayonne then Train to Urt – Walked 1 km. 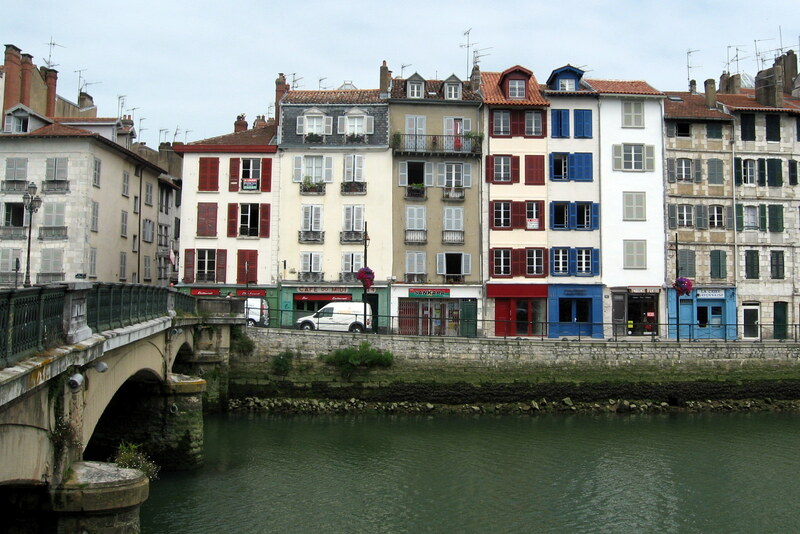 Travel day to the Pays Basque. Took the train from Montebaun to Bayonne and walked around Bayonne for two hours or so. Very quiet, as it was dimanche (Sunday). 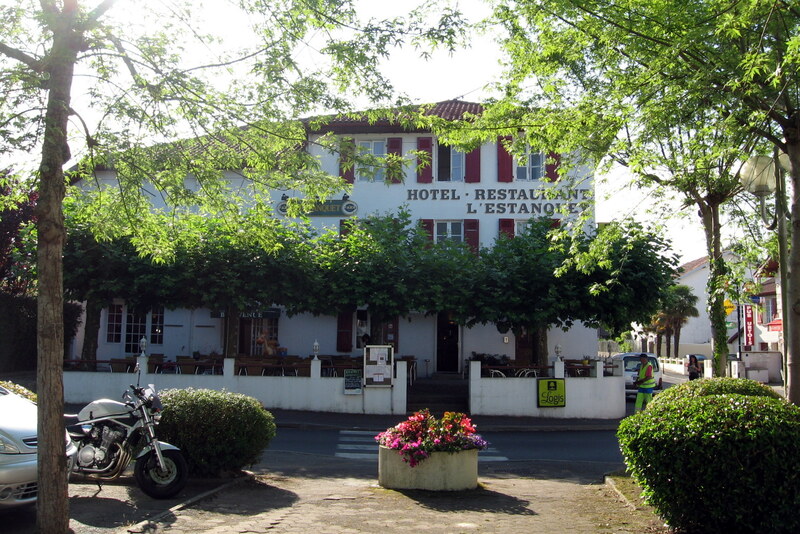 Then, a short train ride on the local in the direction we came to Urt and to Hotel l’Estanquet on a quiet place (square). Walked from the gare to the hotel. Comfortable hotel, nice dinner outside on the terrace. Began sampling delicious Basque fare that is surprisingly tasty and different. 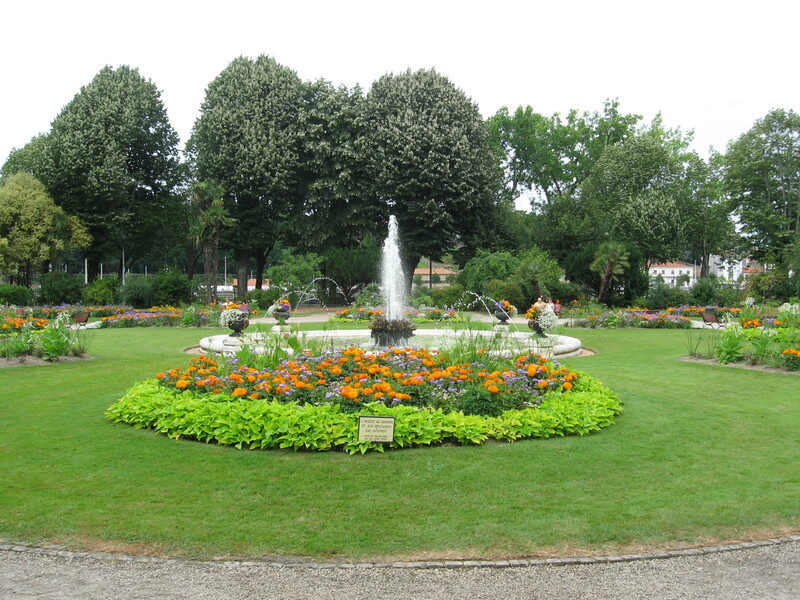 This entry was posted on February 7, 2013 at 9:59 am and is filed under Hiking In France. You can follow any responses to this entry through the RSS 2.0 feed. You can leave a response, or trackback from your own site.